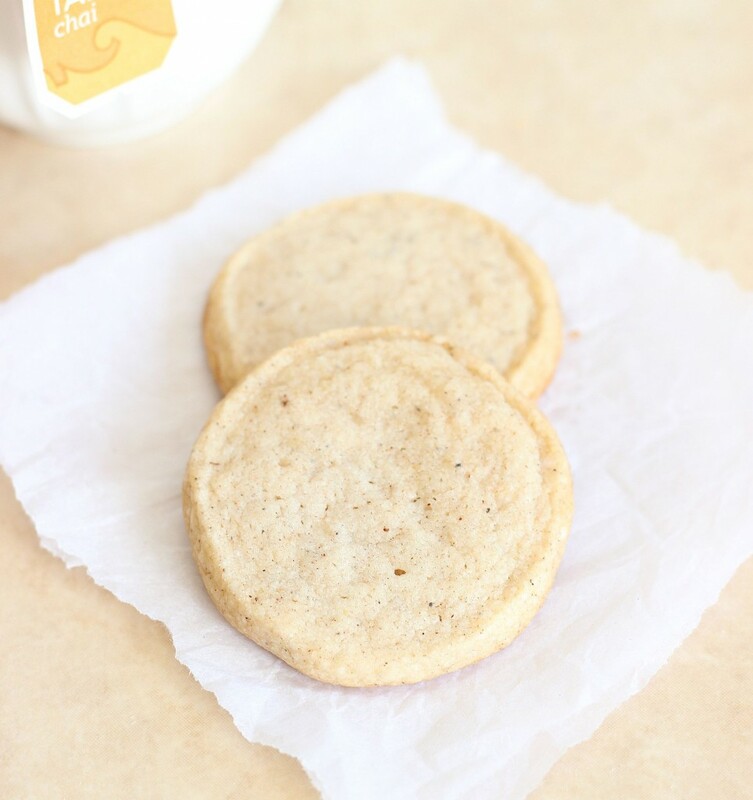 These easy slice-and-bake chai shortbread cookies are buttery, flaky, and tender, and full of wonderful spices like cardamom, nutmeg, cinnamon, pumpkin pie spice, clove, and black pepper! My freshman 15 can be attributed almost exclusively to chai tea lattes. Yeah, I really don’t think it was the frat parties – it had to be the chai lattes. They weren’t from Starbucks, believe it or not! I went to college in the olden days before Starbucks really boomed, and way back then, approximately right before the new millenium, we had 1 Starbucks in the whole town. There’s probably 30 of them by now. I passed through the main student center, The Hub, every morning to get to my 8am class (because I was one of those lucky souls to score ALL 8am classes). I would quickly stop for a chai tea latte nearly every day though. In fact, I ran out of money on my meal card very early on because I was spending $3 on them, along with a fruit and cream cheese tart. So good. Breakfast of champions! I can’t believe my metabolism kept up as well as it did considering the meal I’d start my days with. I should thank my lucky stars it was only the freshman 15. These days I drink a ton more coffee than I probably should, but I’m still very much a tea drinker too. I don’t order chai tea lattes all that often because my understanding of them is that they’re crammed with sugar (and that’s a problem? ), but I drink plain chai tea quite a lot, and it satisfies the craving for something warm and spicy. 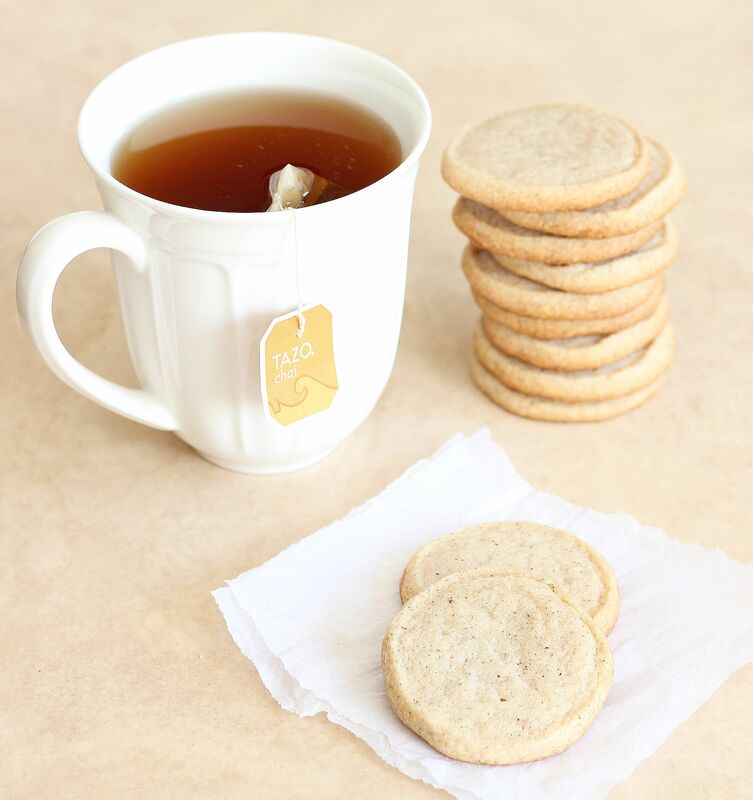 These flaky and buttery shortbread cookies will also satisfy the chai tea craving! But in a cookie, which is always going to trump tea, don’t you think? They’re light, delicate, and to me they taste *exactly* like a hot mug of chai tea. The flavor of these is so wonderfully authentic and spicy! These have something extra special going on in the spice department though. Besides several conventional spices like cinnamon, clove, and cardamom, these also have a few unusual suspects like nutmeg and pumpkin pie spice for extra warmth and fall flair. Because…. pumpkin pie spice. If these cookies can’t have pumpkin in them, this is the next best thing. Also? A little black pepper. It might sound odd, but it lends just enough kick and pepperiness to be perfect. Btw, black pepper makes me sneeze every time. Anybody else? I thought that only happened to cartoon characters, but apparently it happens in real life too. 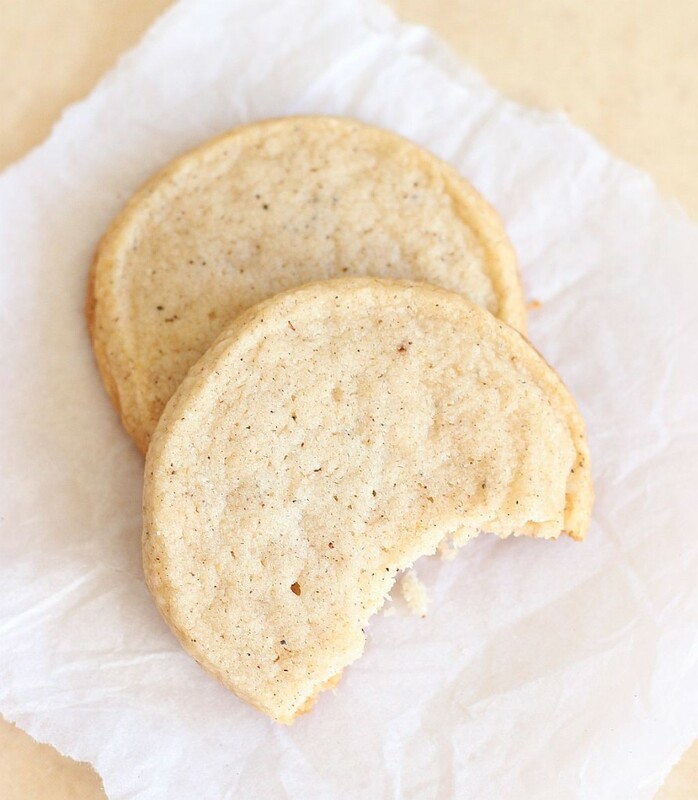 A buttery shortbread cookie, flavored with chai tea spices, like cinnamon, cardamom, nutmeg, and black pepper! In a medium bowl, combine flour and spices. Mix until well-blended. In a large mixing bowl, combine powdered sugar and butter. 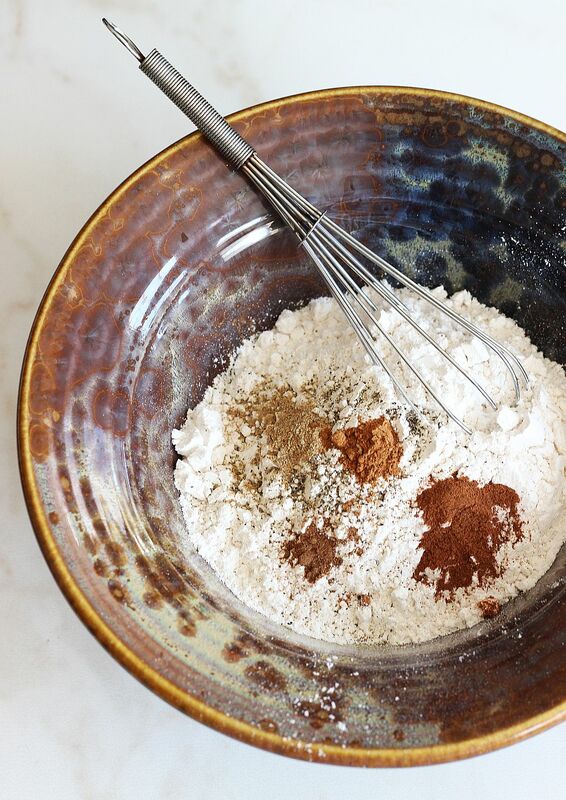 Gradually add flour mixture to mixing bowl, beating at low speed until just combined. Shape dough into a 12-inch log, about 1 inch thick, and wrap in plastic wrap. Chill dough for at least 1 hour, or until firm. Unwrap dough and cut into 36 slices, about 1/4-inch thick. Place dough slices on ungreased baking sheets 1-2 inches apart. Remove cookies from pans and cool completely on wire racks. Enjoy! I am such a huge chai tea lover too, Sarah! I actually am drinking a Starbucks chai as I type this! 🙂 But when I was in college, Starbucks wasn’t booming, either. I actually didn’t discover chai tea until after college, and fell in love with them. 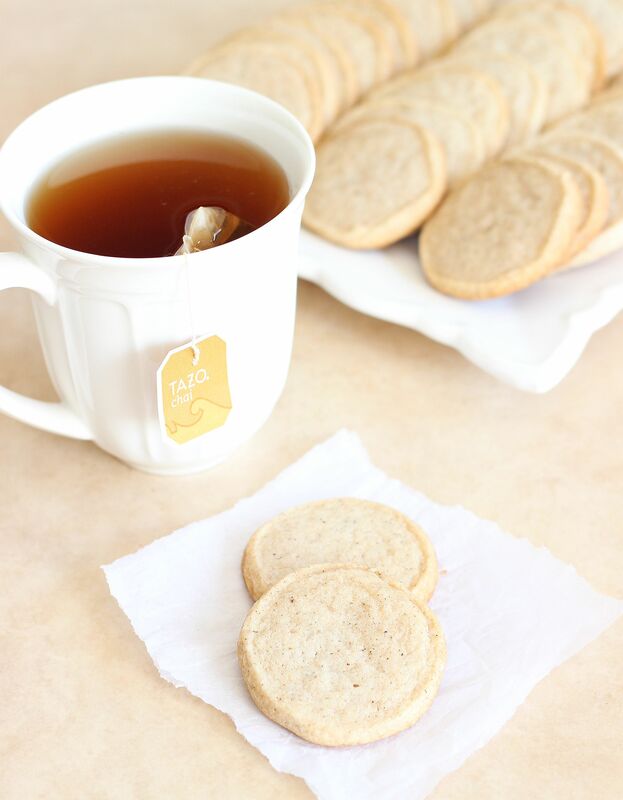 So of course, I’m loving these pumpkin spice chai cookies! What a fantastic flavor, Sarah! They sound amazing! 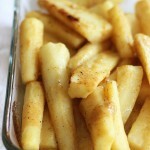 And I love the addition of black pepper in these beauties. Pinned! 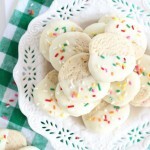 I cannot wait to make these – love chai and really love shortbread. Thanks! Silly girl, just before the millenium is certainly not the olden days! 🙂 But I’ll forgive you due to the late night blur you must have been experiencing. Hahaha, olden days? You totally just called me old, cause Starbucks certainly wasn’t booming when I was in university either! Oh well, one of my kids asked me about “the olden days” last week as if I would know all about it since I’m oh so old! I love the flavour of chai tea, but it always makes me feel sick so I stick to coffee, but if I can have that flavour in a shortbread cookie that sounds incredible! Cookies definitely trump tea! Lol! I was really calling myself old, but I guess I dragged down a few people with me, huh? Ooops! 🙂 But there was a time, many moons ago, before Starbucks owned the coffee world, right? Haha! Hard to imagine! 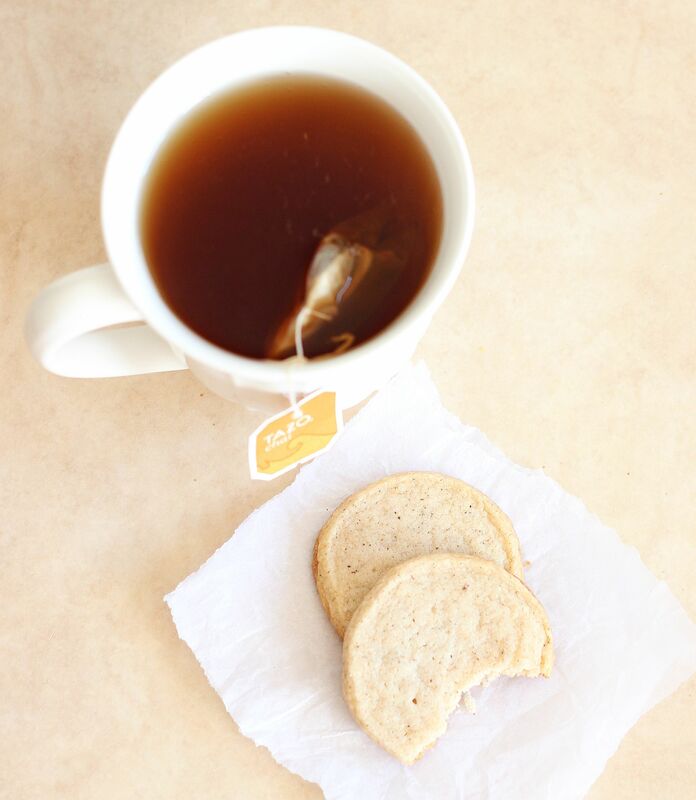 I love tea, but cookies > tea, ALWAYS! these cookies look so good Sarah! You know how much I love chai so can’t wait to try these! Pinned! I’m going to need to try these cookies out! Myself and a couple of other bloggers are hosting a Christmas Cheer Exchange for bloggers and would love for you to join! If you get a chance you can check it out on my blog! Mmm, me thinks I would devour all of these cookies!! 😉 I’m loving all the flavors going on! 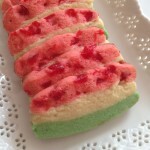 i love classic shortbread. i’d like to try it with added spice! Sarah … these cookies were delicious! I took them to a special event at my son’s school Friday evening, and everyone raved about them! So thank you for such a wonderful recipe! I do have one question, though … the dough seemed very dry, and it was difficult shaping it into a log … it kept falling apart. Refrigerating it helped, but the logs weren’t nice and round because I just couldn’t mould and shape it easily. Do you have any ideas as to what I did wrong? I followed the recipe to a T. Could I add a bit more butter maybe? Hi Pamela! I’m so glad you liked them! They’re so spicy and I love the flavors and spicy kick! I’m thrilled to hear that you liked them too – thanks so much for reporting back! I do think you could add just an extra teaspoon or two or butter – not even a tablespoon, OR a teaspoon of milk to help the dough be a little more cohesive. Sometimes with shortbread dough (tends to be dry), I’ve found that forming and molding it while it’s rolled up in plastic wrap is a little easier, versus, just my hands. The plastic wrap keeps a barrier around it that makes it harder for it to crumble. Maybe try forming a log, wrapping it in plastic wrap tightly, refrigerating, and then molding it a little more in the plastic wrap once it’s firm. Does that make sense? I hope that helps! Thank you, Sarah … I will try those suggestions next time I make them! They go perfectly with tea or coffee! I love chai but my sister dislikes the taste. 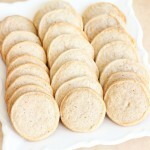 I want to bring pumpkin spice shortbread cookies to her party so I don’t want the chai flavor to come out in one batch. 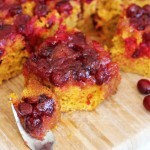 How do you suggest i switch up the recipe to just have the pumpkin/fall flavor come out? Omit the cardamom, cloves, and black pepper? Thanks and I can’t wait to try these! Yep, that’s exactly what I would do. 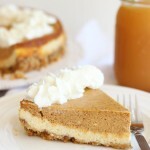 Increase the pumpkin pie spice to 1 tsp., and you could add a little cinnamon too!